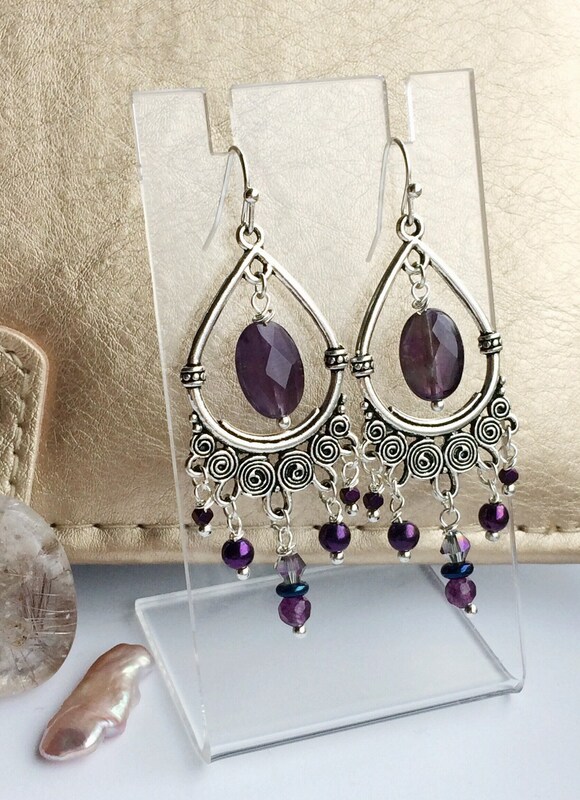 A pair of unique and funky chandelier earrings with Amethyst A grade gemstones. The main bead is a spectacular faceted 16mm Amethyst oval central piece. 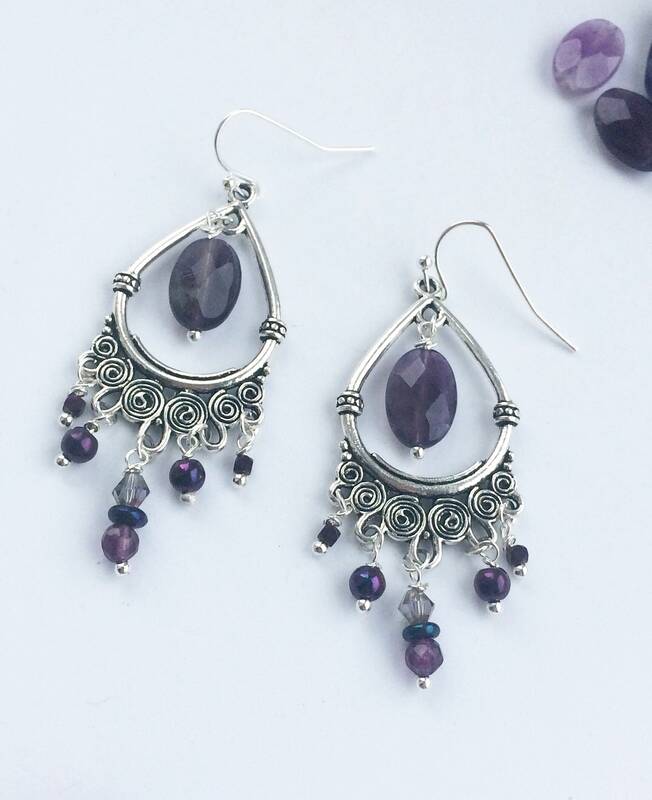 This is fixed within a silver coloured Bali-style clustered earring frame with a decorative spiral design. 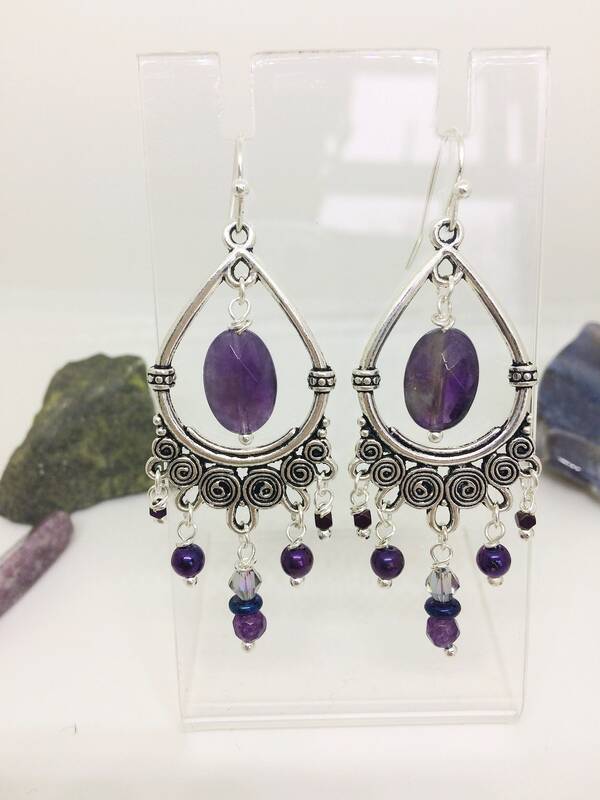 The clusters include a further four smaller facetted Amethyust beads together with complimenting glass and acrylic beads in shades of purple and violet. The total drop length is 5.5cm. 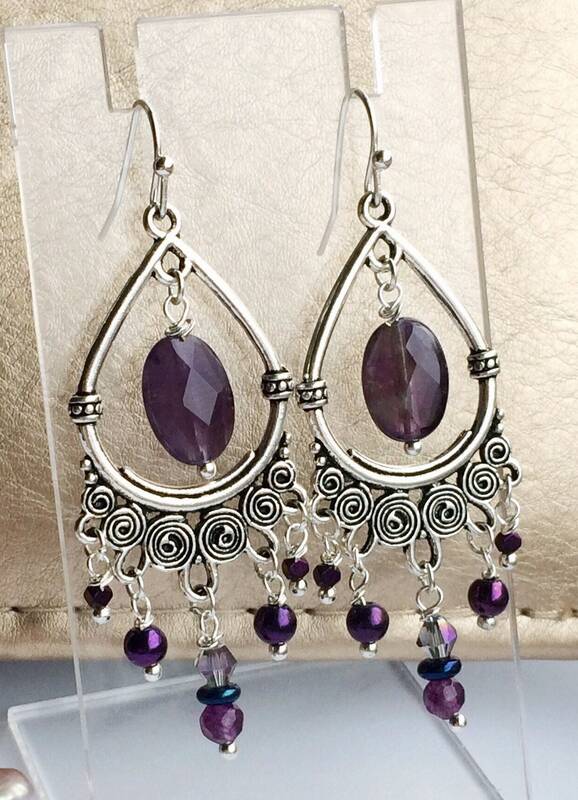 The earrings are affixed with silver plated ear wired. Amethyst is one of the most desirable and important healing gemstones. An extremely powerful and protective stone in times of emotional upset of grief, it is one of the most spiritual stones and helps the wearer develop a deeper understanding of life. Amethyst helps bring stability and calm, easing insomnia. I love working with Amethyst and am planning quite a few more pieces in the near future. I am also happy to accept commissions or requests for matching or customised pieces. Earrings come packaged in a pillow box or earring box with individually lino printed North Woman packaging. BEAUTIFUL. SHIPPED ON TIME. LUV THIS SHOP! !